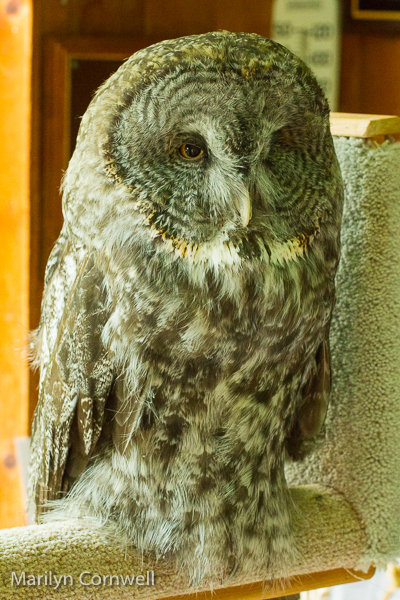 Our last visit to the Owl Foundation in Vineland was 2 years ago. We were there on Saturday and it was an amazing experience. 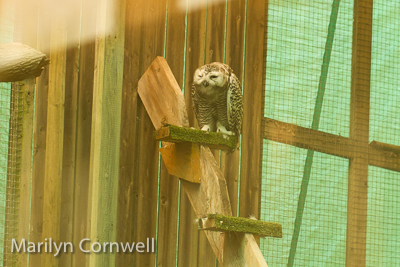 We learned that owls are very nervous and get stressed in the company of people. Our first picture with the owl's straight up 'ears' and squinted eyes shows the expression of stress. The Owl Foundation was founded by Kay and Larry McKeever in the 1970's and they have received awards and honorary degrees for their work. 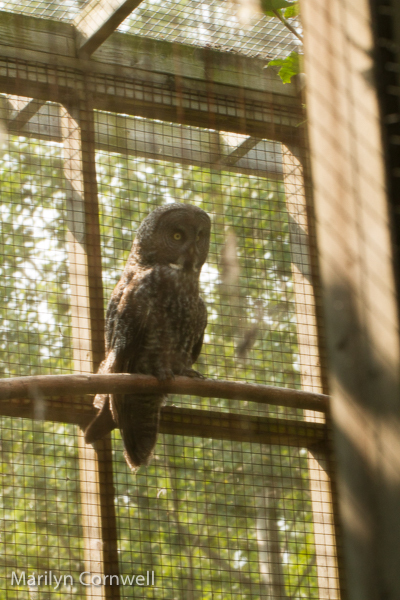 Its mission is to help owls that are injured, diseased or starving, to get back to a condition where they can survive once released. 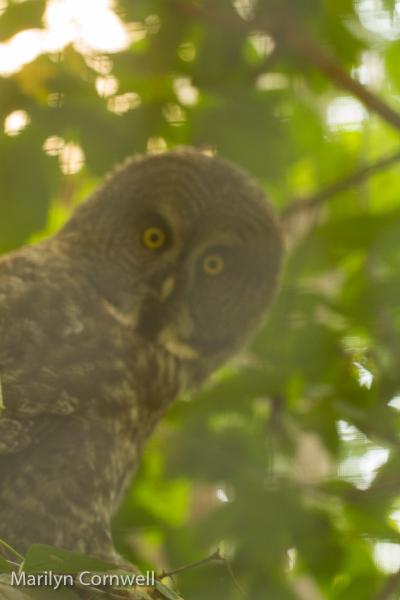 They have a surrogate program for fostering chicks, so many of their permanent owls have parental duties every spring and summer. And while we were on tour there was an 'incoming owl' - a big box rushed to the Intensive Care Unit. There is wire mesh and screening on all the cages. The screen is protection from West Nile Disease, which is a serious threat to the birds from northern regions. The point and shoot cameras with zoom lenses were far superior to my SLR. 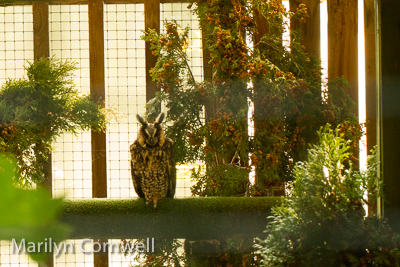 They had excellent close-up pictures of the owls in their 'upper corner perches' - as far from sight as possible.